In all the pomp and finery of the magnificent Indian wedding, the festivities and events and dancing and rituals – it’s easy to overlook one important fact – that it’s actually the little things that mean the most in the grand scheme of things. Things that are often impossible to put into words. Yet the groom, Maunit, manages beautifully. And these precious moments are captured by Mithilesh Choubey Fotografia as a timeless treasure trove for the couple. 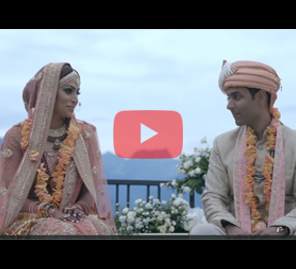 The trailer opens with soft music, romantic visuals and the story of how this gorgeous couple met for the first time. 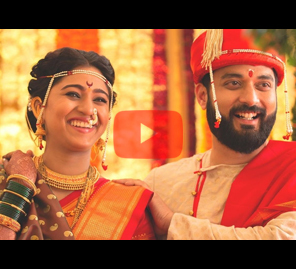 Over the course of the montages the viewer gets to explore emotions of deep joy.Mithilesh Choubey Fotografia captures the revelries skillfully while bringing you the spectrum of colors, evident excitement amongst the family members, the merrymaking and love in this wonderful wedding trailer.